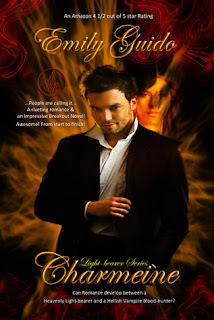 Charmeine, the First Novel in The Light-Bearer series, was released January 2012. Mactus is the second novel in The Light-Bearer series. The romance and action develop and deepens between our two ill-fated lovers, Tabbruis and Charmeine. Their son, Shane, brings an addition to the family, his fiancée, Sandra Gomez! She bonds with Charmeine and Tabbruis instantly. Can Charmeine and Sandra work together to defend themselves from the powerful Elder Council Blood-Hunter Pascal’s attack? Mactus is a romantic and exciting book is a page turner from the beginning to end! Accendo is the third novel in The Light-Bearer series. Reality knocks our two star-crossed lovers, Tabbruis and Charmeine into the now when they have to plan to battle the Evil Blood-Hunter Elder Council. Charmeine is cut to the core because of Tabbruis’ lack of faith in her ability to lead. Will their love survive? Will their faith in each other be tested as they begin their new life together? Tabbruis and Charmeine find their close relationship is challenged with unbelief and lack of trust. The battle to freedom from the Dark and Evil forces which Lucifer has let loose on the Earth is harder than Tabbruis and Charmeine ever imagined. Accendo is a romantic and exciting book is a page turner from the beginning to end! The fourth novel in The Light-Bearer series is Seditious. This book is the continuation of Tabbruis and Charmeine’s romantic and turbulent love story and mission on Earth to battle Lucifer’s minions! In Seditious Tabbruis and Charmeine find that their love is tested in the most heinous way possible. Exciting all the way to the end! 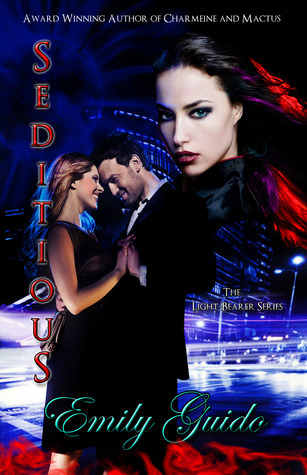 Seditious will have you turning page after page in this story of passion, betrayal and seduction. Ransom is the fifth novel in The Light-Bearer series. Can Tabbruis convince Charmeine, his love and soul-mate to take him back? Will Charmeine be able to forget the pain of the past? Tabbruis and Charmeine take their new family on a much needed and impromptu vacation; however, there is always a twist and turn for them to recover from. The children of Dmitri are growing up fast and there is an addition to the ‘Castle Charmeine’. Lord Cromwell, plans a deadly attack on the ‘Castle Charmeine’ and he takes something precious to Charmeine. However, he wants something in exchange. 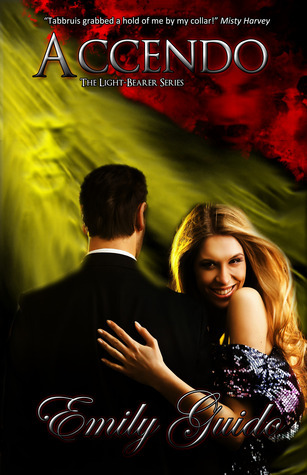 Can Charmeine and her family battle this deadly adversary? Tabbruis and Charmeine’s family bond together to fight Lord Cromwell and more surprises are in store for the star-crossed lovers, Tabbruis and Charmeine! A must read for all who have read Charmeine, Mactus, Accendo, and Seditious in The Light-Bearer series. However, Ransom can be a stand-alone novel in its own right! Here is an excerpt from book 1, Charmeine. Tabbruis stared at her mainly because he was bracing for a rejection. He leaned on terrace doors with his arms crossed and took a big breath trying to figure out why he just made the admission to her. Tabbruis thought to himself, ‘We are so incompatible. After she is safe, I should leave her and forget,’ but even so, he did not know if he could escape her magnetism. It was as if she enchanted him by just one look at her beautiful face. Charleen took a deep breath trembling from the stare of his deep emerald-green eyes. She, quite frankly, didn’t feel worthy of him. She felt like she was a scared and lonely 15 year-old again wandering the streets outside Holbrook, Long Island, bereft of memories of friends and family… she was incredibly alone. Charleen wanted to run up to him and at the least, touch his troubled face before he would dismiss or reject her and send her to bed like a child. However, she had no experience with relationships and blushed at even the thought of touching him. Not waiting for his reaction, Charleen turned toward the Harbor looking away from him. Charleen could feel Tabbruis’ eyes on her, but she was afraid to look him in the eye. Tabbruis walked up beside her to look out at the Harbor also and put his hands out on the railing next to hers. All of a sudden, he could feel a small current from her hand into his. Tabbruis loved the feeling of it. Tabbruis could feel her energy surging into him and let his hand linger there next to hers while they looked out over the Harbor. He wanted to tell her that all those centuries of emptiness were washed away when he laid his eyes on her. Steadying his nerves, Tabbruis reached over and picked up her right hand, and they turned to each other watching the streams of light dance around their two hands. She began to smile and so did Tabbruis. Tabbruis was smiling because he was so happy, this never happened to anyone but him and it made him connect to her on a whole new level of closeness. Tabbruis repeated in head, ‘Because her light likes me?’ Wonderment filled Tabbruis and he smiled looking down at the twirling spirals of light. Charleen put her left hand up and he put his other hand on it. 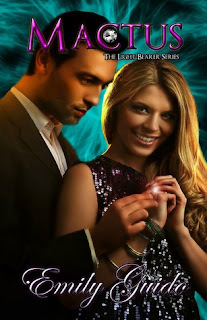 Her hand began to send tendrils of swirling light to his hand. They stood watching their hands which were tenderly holding each other. Their hands were doing what they wanted to do with their bodies, to be together, holding each other. Are you interested in trying out the series? 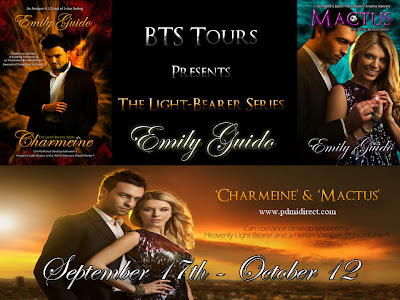 Just fill out the Rafflecopter form below to enter to win Charmeine.